April Paper Pumpkin is a Sara thing! Exciting news! 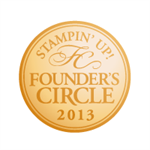 The April Paper Pumpkin kit was inspired and designed by Stampin’ Up! CEO, Sara Douglass. Her style is, “bold, vibrant, and artistic—with a little bit of sass,” which is exactly how she described the kit. Discover creativity through the eyes of our CEO while having an experience that is uniquely YOU! Get ready to embrace your inner artist and skip to the fun with Sara. As if a kit designed by Sara is not reason enough to sign up, there’s more! Every kit will include a FREE gift! We’re keeping it a surprise, but you won’t want to miss it. What do you need to do? It’s simple—sign up at PaperPumpkin.com by April 10. And if you’re already a subscriber, now would be a great time to grab a few extra kits by increasing your monthly quantity—just sayin’. Learn more about the kit from Sara herself in the video below. Part of the planning process for each kit includes the Paper Pumpkin team gathering together to assemble the kit once we receive a final sample. It’s one of our favorite things! When we sat down to create this kit, we couldn’t help but love it! The best part was personalizing the bunnies. The mix-and-match stamping works beautifully on the cards and bags. It’s also worth mentioning that our second- favorite part was adding the pompom bunny tails—too cute! We hope you enjoy the kit as much as we do. Each Bunny Buddies Kit comes with supplies for nine bunny cards and bags. You might recognize the patterns and colors. They are from the Playful Palette Suite, found on p. 118 of the 2016-2017 annual catalog. The jewel-toned color scheme is soft and fun for springtime while the patterns offer a modern twist. And after all, “playful” is the perfect way to describe little bunnies, right? 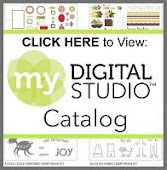 Be sure to check out the full product suite in the catalog. First up, it’s easy to transform the bunny bags into little baskets. Just tie up the ears and add a tag. Everything you need is already in the kit—including three different colors of baker’s twine! Next up is another treat bag, but for a slightly larger treat—like maybe a giant chocolate Easter egg or a solid chocolate bunny. (Okay, it doesn’t have to be chocolate!) Decorate a Petite Café Gift Bag with accessories from the kit. This adorable pompom trim looks like it’s straight out of the Playful Palette Suite, but it’s actually a custom creation. Use a needle and Whisper White Solid Baker’s Twine to thread some of the pompom bunny tails together. Pretty brilliant, right? We think so. Finally, don’t forget about the other images in the Bunny Buddies Stamp Set. Send an eggs-pression of love to some“bunny” you love with this cheerful card. Stamp the eggs with a bright palette and then add some texture with the Brick Wall Textured Impressions Embossing Folder. Be sure to grab some Bunny Buddies Refills to use at all your Easter egg hunts! And, don’t forget, you can skip to the Sale-A-Bration with Paper Pumpkin. Get a 3-month subscription for just $74 CAD and instantly qualify for a FREE Sale-A-Bration item. Don’t miss it. Sale-A-Bation ends on March 31! Learn more here and check out the free items you can earn here (CAN). I am happy to help you place your orders! Did you know the April Paper Pumpkin Kit is created by our CEO Sara Douglass? Stay tuned for the next post showcasing more info about April's kit.